It has been 17 years and 175 days since the city’s pledge to build the West Branch Library. Sometimes Glendale city council meetings can only be described as mind boggling and l-o-n-g. The June 23, 2015 meeting was nearly 5 hours in length. Here is the link: http://glendale-az.granicus.com/MediaPlayer.php?view_id=2&clip_id=2305 . Public comment has once again has been placed at the front of the meeting. There were many citizen speakers that night. To a man/woman all spoke in support of the four city councilmembers who may face recall: Councilmembers Aldama, Hugh, Tolmachoff and Turner. Some of the speakers were notable and recounted below. It’s important to note there are two, distinctly separate recall efforts occurring in Glendale. One is the recall election of Councilmember Gary Sherwood with that election already scheduled for November 3, 2015 in the Sahuaro district only. The reasons for his recall are unrelated to the recent vote to cancel the Coyotes contract and are best summed up by the Recall Councilman Gary Sherwood Committee at this link: http://www.stopsherwood.com/index.html . The most recent media reports of recalls center around the councilmembers who voted to cancel the arena lease management agreement with IceArizona, owners of the Coyotes. It’s a totally different situation and the two recall actions should not be confused or lumped together. Very recent recall packets have been taken out on 2 of the councilmembers thus far, Councilmember Tolmachoff and Councilmember Turner. The petition packets have not been turned into the city as the group has just begun its effort and have until October 7, 2015 to turn in recall petition signatures. Glendale First is the sponsoring organization cited on these two political committee filings. Larry Feiner, a Glendale resident of the Cholla district, is one of Glendale First’s spokespersons and he is also involved in Desert Hockey Development with Bea Wyatt and George Fallar. Mr. Feiner and Ms. Wyatt seem to be the two main spokespersons for this latest series of recalls. Even though the sponsoring organization is Glendale First, Glendale residents and hockey fans residing within specific districts filed the organizational political committee paperwork. In this case, Bill and Jennifer Eikost, residents of the Glendale Cholla district, filed as a political committee and pulled the recall packet on Tolmachoff. Ben Shroyer and Paul Miller, residents of the Sahuaro district, did the same on Turner. Make no mistake. These folks are integral members of an avid Coyote fan base and have been involved with Glendale First since its inception. Glendale First, led by Bea Wyatt and George Fallar of Cave Creek, is angry because in a majority vote of 5 to 2 this council voted to cancel the annual $15M lease management contract with the Coyotes. It raises the possibility of the team’s possible relocation elsewhere after all litigation is resolved. 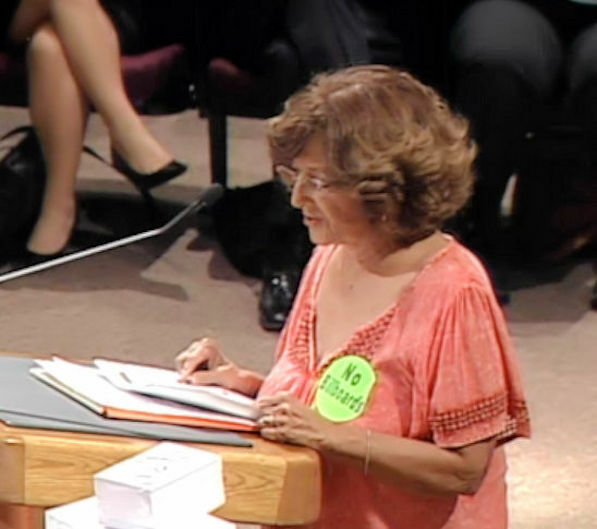 Obviously Glendale First dare not use as its sole reason for recall its anger with this council vote when a recent poll showed that over 50% of Glendale’s residents support the council’s action. So they have manufactured another reason. Their smoke screen reason is that council did not reduce the amount of money going into the city’s unappropriated fund balance (rainy day fund). They contend the money should be used for public safety immediately. By public safety let’s call it what it is…the fire union. Fire wants more money and lots of it. They point to slow emergency response times but fail to mention two very important facts: 1. The Glendale Fire Department is accredited and meets that accreditation agency’s standards for response times, and 2. Call volume has increased due to the Valley’s Automatic Aid system. Quite simply Glendale fire responds to more calls in neighboring cities such as Peoria and Phoenix than the number of times those cities respond to calls in Glendale. Automatic Aid is placing a strain on the Glendale Fire Department and is partially responsible for the unavailability of Glendale fire units to respond to its own residents in a timely manner. “My name is Justin Harris. I am president of the Glendale Law Enforcement Association and co-chair of the Glendale Police Officer Coalition. I’m here tonight speaking on behalf of my members as well as Julie Pendergast. She could not be here tonight. She had personal matters to attend to. (Note: Julie Pendergast is president of the Glendale chapter of the Fraternal Order of Police and co-chair of the Glendale Police Officer Coalition). Glendale First have shared with the public both in the paper and in the media. Recently I learned of the recall petitions that were pulled against Bart Turner. That was filed by Lawrence Feiner. The recall petition against Lauren Tolmachoff was pulled by Bill Eikost and Jennifer Eikost. I’m assuming they are husband and wife. you guys have diverted money earmarked for public safety and you placed that into a rainy day fund which has increased emergency response times. I’m not sure where they got their information but they sure didn’t come talk to me or my co-chair Julie Pendergast. Interesting enough, both Lawrence and Jennifer are listed as guests with Glendale First on a roster that attended a hockey game April 26th, 2013, at the Glendale arena in the city suite and the host of that event was Gary Sherwood – Councilmember Sherwood. (Please note: I, too, was in that suite on that date). “Bea Wyatt, also with Glendale First, I listened to a radio talk show interview that she did on Friday, June 19th. She was talking about pulling recall petitions possibly on you, mayor and the other four councilmembers because they were not supportive of public safety. But then her comments bled into the Coyotes team. I don’t know why she was on sports radio talking about Councilmembers Turner and Tolmachoff not supporting public safety. I couldn’t tie the two together. Interesting enough the five councilmembers that voted to not renew the contract are the same councilmembers that this Glendale First is trying to attack and misrepresent facts about not supporting public safety. “I’m here to tell the public today as being the person who represents the line level men and women who wear the badge. Mayor Weiers, Vice Mayor Hugh, Councilmember Tolmachoff, Councilmember Aldama, Councilmember Turner, you do support public safety. You made the tough decisions. There was a period of time prior to Proposition 457 when our members were giving concessions. We were understaffed to the tune of ten million dollars – understaffed, overworked. Our men and women went out there and did the job we took an oath to do. Meanwhile the city was forking over twenty five million dollars a year to a hockey team. Doesn’t make sense to me. “So at this time I wanted to thank you Mayor, Vice Mayor Hugh, Councilmember Tolmachoff, Councilmember Aldama, Councilmember Turner for your unwavering support in making a very tough decision, finding the courage it takes to insure that you’re doing the right thing, not only for your constituents but also for your police department, the men and women who put our lives on the line every day to protect the public. Thank you for protecting us. I also wanted to thank each of you for upholding the state law and at least having the courage to have that law looked into to find out if there was in fact a conflict of interest at the time that the deal was done. It takes a lot of courage. You don’t see that too often. So, again, thank you. “I’ve been sitting back like a lion in the tall grass, just waiting, watching and analyzing as these events have unfolded. But now I have come out to protect my members and to protect the city from a special interest groups that doesn’t care about public safety and they want to use public safety as a reason why they’re pulling this recall – or part of the reason they’re pulling this recall. There were 86 items on that night’s agenda but the one that caused extraordinary public participation was Item # 83 Rezoning (ZON) application Zon 15-03 (ordinance): Palm Canyon Business Park Planned Area Development – 17750 N. 83rd Avenue – the Becker Billboard issue – again. A presentation was made by Mark Becker with the same arguments as when he was previously denied by this council. He added a few paid experts to speak about how innocuous billboards are. There was one speaker, Glendale resident Connie Keiser, who nicely summed up the feelings of all of the citizenry that came out to speak against the billboards. She said, “Hello. I am Connie Keiser. I live in Glendale. I live in the Sahuaro district and I am impacted by these billboards. First off, I live in Hidden Manor and we were there long before Glendale because you annexed us. We are the subdivision directly north of Arrowhead Towne Center. We are the closest residential subdivision to those billboards. the night sky. That’s the reason Scottsdale and Paradise Valley will not allow billboards. They consider them to be junk. “Why does Mark Becker keep beating this dead horse? I am sorry that people made a bad, bad investment in that property. When they bought that land they had the mistaken belief that they could fly in under the radar and could get billboards approved before we knew what hit us. Not in our neighborhoods. You can’t, Mr. Becker. You woke several sleeping giants and not only in Glendale but in Peoria. You did not expect us to come together as a community like we have. Mr. Becker had been told ‘no’ over and over again but he hasn’t caught on yet. Now I have, if you’ll remember in his little presentation that he used, ‘Scenic America’ is one example. But he forgot to tell you about the ‘drop down’ on billboards which I happened to point out today. And I’m just going to quote several little things they say (Scenic America) about billboards. “‘Billboards endanger health and safety. While the industry would like you to think billboards are harmless, their negative effects on health and safety have been well documented. Billboards hamper economic growth. Billboards make a few people a lot of money. Unfortunately, however, they do serious economic harm to communities. Nature of the billboard industry – the billboard industry likes to proclaim its small, local nature.’ We heard Mr. Becker talk about how he’s just a small, local company. ‘When a state or local government considers enacting tougher billboard controls industry lawyers and lobbyists appear at hearings and speak long and loudly about how the government is threatening another small business with extinction.’ The reality, however, is quite different. After Becker’s presentation and the public hearing it was council’s turn and a theater of the absurd ensued. Mayor Weiers asked City Attorney Bailey and it was confirmed the order of proceeding would be amendments to the motion would be considered and voted upon first. That action would be followed by a consideration and a vote upon the applicant’s zoning request with any new amendments that council would have just approved. Well, it didn’t go that way at all. Councilmember Chavira asked to make his motion first. Instead of offering the amendments only and exclusively, Sammy’s motion included approval of the applicant’s zoning request along with his self crafted 4 amendments. Aldama seconded the motion with amendments. The instruction for action that had just been outlined so carefully went completely out the window. It appears that Sammy is not always the brightest bulb in the pack. Mayor Weiers asked if there were copies of the newly offered Chavira amendments available. City staff did not have any copies but immediately Mark Becker popped up and passed out copies of the Chavira amendments to staff for distribution to council. Wait, you ask, why does Mark Becker have copies of the Chavira amendments but city staff and the rest of council do not? Immediately the question comes to mind – who really wrote those amendments? Councilmember Tolmachoff must have had the same thought for she asked who prepared the amendments – Mark Becker or Councilmember Chavira? Councilmember Chavira responded by saying it was his motion and he came up with the amendments that very same day. Why did he make sure Mark Becker got copies yet didn’t distribute them to staff and city council for their advance consideration prior to the meeting that evening? It makes no sense. All of the councilmembers with the exception of Councilmember Sherwood and Vice Mayor Hugh commented prior to their votes. The most disturbing commentary to the anti-billboard people in attendance were the remarks made by Councilmember Turner. 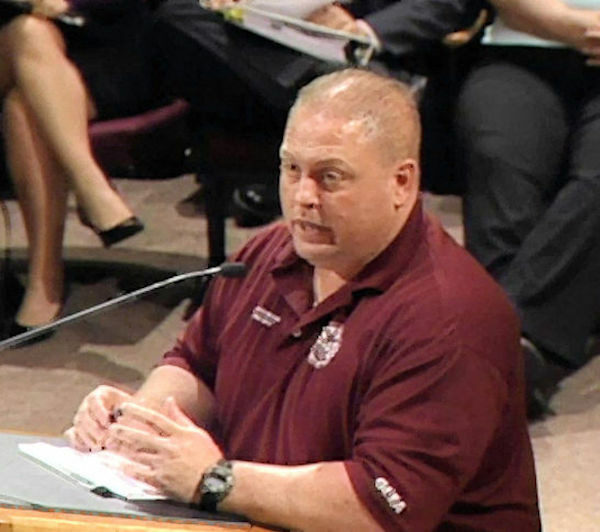 It seemed as if he was about to vote in favor of the billboard application and a majority of the audience was visibly shaken for it appeared as if he would become the fourth and majority vote granting the Becker billboard application. 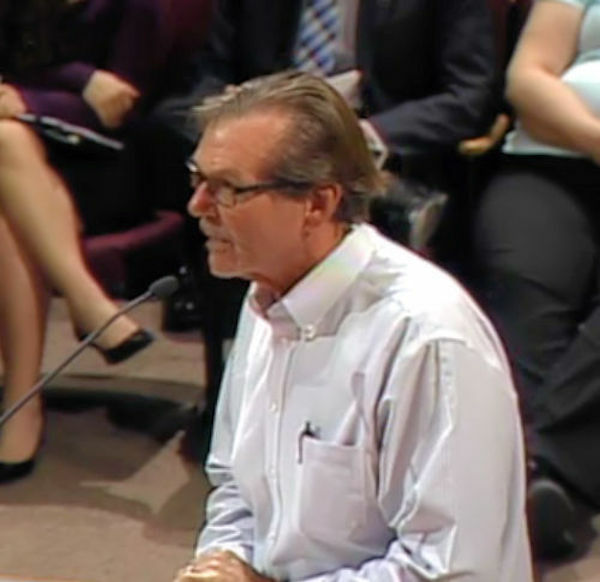 He said that the applicant’s request was similar to the billboards that had been approved for the Westgate area and since the Loop 101/Bell Road corridor was similar in commercial nature to the Westgate area it should be considered similarly in that context. Mayor Weiers asked the city attorney again if Chavira’s motion including the amendments was valid. Mr. Bailey indicated it was a valid motion and recited for clarification what the motion included. Mayor Weiers proceeded with a roll call vote typically done in alphabetical order of councilmember surnames. Councilmember Aldama and Councilmember Chavira voted in favor of the billboard application. Councilmember Sherwood passed. Never, ever in my 16 years as a councilmember had any councilmember ever passed on a vote. Why did Sherwood do it? Why on this night? Think about it. Two councilmembers had voted in favor. Sherwood knew he could vote in favor as well but he needed to know what Councilmember Turner’s vote was before he voted for or against. If Turner voted in favor Sherwood would be the fourth and majority vote for passage of the billboard application. So he passed, waiting to hear what Turner’s vote would be. Councilmember Tolmachoff and Vice Mayor Hugh voted against the billboard application. The vote was 2-2 and it was Turner’s turn. There was a moment of hesitation and then he voted against the billboard application. Weiers passed and went back to Sherwood for his vote. Sherwood voted against the billboard application and why not? He knew the motion was defeated and by flip flopping once again and voting against the billboards it might provide him some cover for his recall election. The last vote was cast by Mayor Weiers against the billboard application with the result being a 5-2 vote with only Aldama and Chavira supporting the request. Do you suppose they were blindsided by their buddy Sherwood? Do you think they will trust his word from now on? City council vacates the month of July and will return to regular order in August. Many schedule vacations during July but they may find themselves called back to town to participate in depositions regarding the Coyote litigation. Glendale residents need a break from the ongoing political shenanigans too. Recently the Glendale Star ran an article about the “great fire truck mess.” Here’s the link: http://www.glendalestar.com/news/article_43959c72-8cf1-11e3-ace9-0019bb2963f4.html . In one of my recent blogs, “Choices…so many choices,” we learned the proposal to be ratified by council was to buy a new fire truck for more money ($484K) than was granted ($424K) for the purchase and was pulled from the agenda. The reason for its removal was due to public comment offered by two gentlemen representing Freightliner of Arizona who reported on the RFP process and gave examples of why it was flawed. The City Manager, Brenda Fischer, always on top of every issue, indicated that she wanted to learn more and it would either come back to council as presented or a new RFP would be conducted. The Star reported that Fischer would be issuing a new RFP. How’s that for a demonstration of Fischer’s being on top of the very issues approved by the City Manager to go before council? She ought to be embarrassed. However, the more interesting part of the story is what happened AFTER the council meeting. Fire Chief Mark Burdick confronted the two men, Freightliner’s Attorney Evans and Freightliner’s General Manager, Tim Noeding. Burdick told Noeding that he was “shocked” that Noeding went public with his complaints about the RFP process and Burdick thought it was “unfair” because Noeding’s “side of the story” got out publicly first. Noeding shot back with perhaps Burdick needed to look at his people and their level of performance in handling the RFP process. Good for Mr. Noeding. Too often the Glendale system is to try to waylay those who have a grievance, schmooze with them privately and then send them packing – all the while, they leave scratching their heads, wondering what had happened. It is a time-honored Glendale strategy used to prevent any negative from becoming public. It raises some rather interesting questions, however. Who is running the Glendale Fire Department? The Fire Chief or the Fire Union? For many years it was John Holland, President of the Glendale chapter of the Fire Union. He was the power broker and if anyone wanted anything done they went to him. Alas, Holland was under investigation after having been caught with his hand in the Union cookie jar. Strangely, but not unexpectedly, nothing ever came of that investigation. It seems to have been buried deep within the bowels of the Union, never to surface again after Holland went quietly into the night. Others have assumed Holland’s mantle and may have just as much power. In one of my many conversations had with the Fire Chief over the years, when questioned about certain policies and practices, he would shrug and refer to some concession the Union had been granted that allowed the policy or practice. In some ways Chief Burdick’s hands are tied, especially in his efforts to control the fire department budget. It has become more and more difficult as the Union continues to stave off questions about overtime, the use of 4-man trucks or the use of big, expensive trucks answering medical calls which make up nearly 80% of the department’s Calls for Service. If those are sacred cows then Burdick must get a handle on his departmental budget and make cuts in other areas. It’s time for Burdick to manage more effectively and just like the City Manager, be knowledgeable about his employees’ decisions and actions. He and the City Manager should not be the last to know but rather the very first to know. In other news, congratulations to Jerry McCoy on his promotion to Executive Director of Communications and Marketing. It is well earned and well deserved. But wait, you say, isn’t that Julie Frisoni’s position? Well, yes it is but apparently not any longer. It’s the signal that Fischer is about to make Frisoni permanent as Assistant City Manager, despite the fact that Frisoni does not meet Human Resources defined qualifications for the position. But that’s just a minor roadblock. Fischer can certainly order Jim Brown, Executive Director of Human Resources, to change or modify the qualifications for the position. Hmmm…I thought the City was removing all those pesky Executive Director titles. Keep in mind, Frisoni was part of the former City Manager Ed Beasley’s “inner circle.” She knows where all the bodies are buried and may have even helped to bury some. Yet when faced with ethical issues such as former City Attorney Craig Tindall’s alleged email solicitation on a city computer for tax deductible tuition donations for his son she said nary a word. What exactly are her ethical standards? After all, she probably advised Beasley on how to handle the Alma Carmichael debacle when it became public knowledge. I haven’t even commented on the February 4, 2013 city council budget workshop or regular workshop yet. It will just have to wait for the next edition of the blog. Burdick’s show of outrage was just too good to pass up.